Type and Characteristics - Diesel-electric cutter, one of seven Wind-class, WAG-278, built by Western Pipe & Steel Co, Los Angeles, CA at cost of $9,880,000, laid down 9 June 1942, assigned for transfer to USSR, launched 28 December 1942, commissioned 26 February 1944, in USN 1951/52 (as USS Northwind, AGB-5, renamed USS Staten Island), in USCG 1966, 6,515 tons displacement full load, 269ft long x 63ft beam x 25ft 9in draft, 13.4kts, no armament, helicopter flight deck, crew of 219 - 12 officers, 2 warrant officer, 205 men. Log Period and Areas of Service: 1952-66, Greenland waters, Alaskan waters, Antarctica, and points in between. 26 February 1944 – Commissioned (USCG / USSR) and delivered directly to the Soviet Union under the auspices of the Lend-Lease program as Severny Venter (North Wind). 31 January 1952 – Returned to the US and commissioned as USS Northwind. 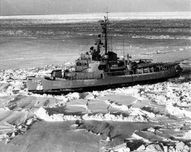 15 April 1952 – Name changed to USS Staten Island (AGB-5) to avoid confusion with the Coast Guard ship Northwind. 1 July 1952 – On duty in Frobisher Bay on icebreaker duty. 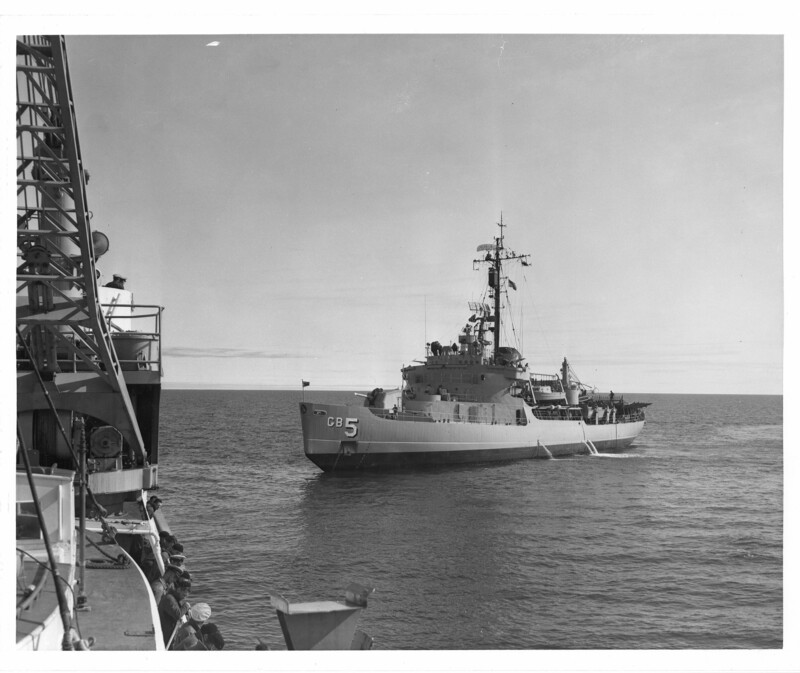 8 September 1952 – Returned to spend the winter in New England waters. 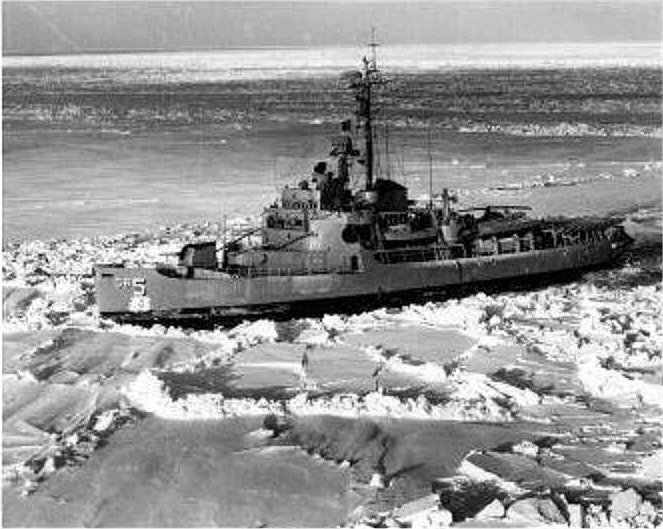 Conducted a total of six ice breaking operations in northern waters between1952 and 15 December 1954. 19 May 1955 – Sailed for the Pacific and duty with Service Squadron 1. 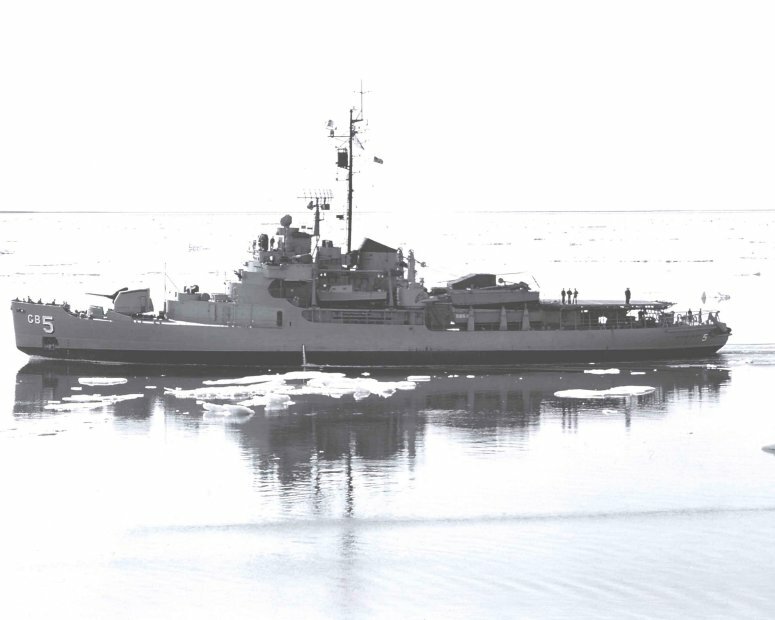 10 June 1955 – Broke ice for ships resupplying the Distant Early Warning (DEW) radar stations along the top of the North American continent in 1955 and 1956. 3 November 1956 – Assisted in Operation “Deep Freeze” and the commissioning of the Ellsworth International Geophysical Station. She participated in operations and expeditions in the Arctic and Antarctic until early 1966. 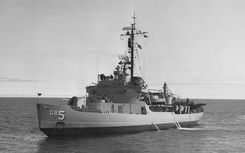 1 February 1966 – Placed out of commission by the USN, and recommissioned with the Coast Guard as USCGC Staten Island (W-AGB-278). 1 March 1966 – Struck from the Navy list. Fate: Decommissioned 15 November 1974, sold for scrap.